I would like to read the high octane, exciting thriller The Darkest Day by Tom Wood. It is the fifth novel Featuring ‘cool’ loner antihero, Victor, an assassin with a purely logical view on life and whose morals are deeply questionable. Victor kills people for a living. He is damned good at his job and his services are utilised by all sorts, including the CIA, for dirty jobs they need to get done. Paranoid, ruthless, highly skilled, Victor Is a man who only trusts himself, and is able to get himself into and out of some really exciting situations and is constantly assessing risks wherever he goes, however he knows that one day it will be his turn (his enemies are numerous). This time Victor is asked to deal with a terrorist financier in Prague, but instead finds himself scampering for survival from a dangerous rival, named Raven. He knows those around him are lying to him – but which lies are the most dangerous, and how does he sort through the deceit. Victor hunts Raven across the globe, from Europe and Latin America before an exciting showdown in New York. Victor tries to establish who sent her, but discovers that he is a Pawn in a much bigger game. Was he set up by his paymasters, why has she came after him at this time and has his own past come back to haunt him? 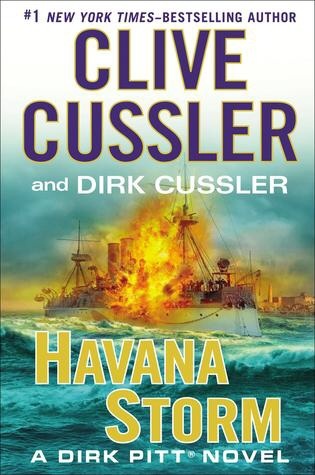 I would like to read Havana Storm, the exciting 2014 action/mystery novel by international best-selling author Clive Cussler. It is the twenty third in the series of Dirk Pitt adventure books and The main action involves Dirk Pitt and his sidekick, Al Giordino, plus his two children Dirk and Summer. It starts with Dirk investigating some mysterious toxic mercury blooms in the middle of the Caribbean which could threaten the United States And he discovers the rogue deep sea drilling operation by the ruthless Juan Diaz which are financed by the villainous General Alberto Gutier, who have conned the CEO of a Canadian mining company, an enlightened, environmentally conscious fellow into providing the high-tech equipment. Unfortunately, Díaz’s explorations accidentally vent mercury into pristine tropical waters. Elsewhere Other things happen innocent Jamaican fishermen are vaporized; one of Castro’s ministers is assassinated; three oil workers are trapped in a deep-water diving bell; an oil exploration ship is sunk which could all have disastrous international implications andDirk inadvertently finds himself involved in a post-Castro battle for political control of Cuba as he embarks on a hazardous journey from Washington to Mexico and Cuba. Generally regarded as the inventor of the gasoline-powered automobile, the German engineer & Automotive pioneer Karl Benz was born on November 25, 1844 in Mühlburg (Karlsruhe).Benz attended the local Grammar School in Karlsruhe. In 1853, at the age of nine he started at the scientifically oriented Lyceum. Next he studied at the Poly-Technical University. Benz had originally focused his studies on locksmithing, but went on to locomotive engineering. On September 30, 1860, at age fifteen, he passed the entrance exam for mechanical engineering at the University of Karlsruhe. 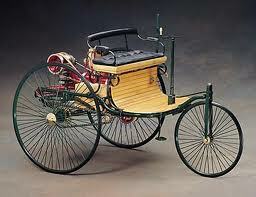 During these years, while riding his bicycle, he developed a vehicle that would eventually become the horseless carriage.After his formal education, Benz had seven years of professional training in several companies, starting in Karlsruhe with two years of varied jobs in a mechanical engineering company. He then moved to Mannheim to work as a draftsman and designer in a scales factory. In 1868 he went to Pforzheim to work for a bridge building company Gebrüder Benckiser Eisenwerke und Maschinenfabrik. Finally, he went to Vienna to work at an iron construction company. sports car racing became a major method to gain publicity for manufacturers and the Benz Velo participated in the first automobile race: Paris to Rouen. soon Unique race vehicles were being built. Including the Benz Tropfenwagen, which was introduced at the 1923 European Grand Prix at Monza and became the first mid-engine aerodynamically designed Racing car.In 1924 both Benz Cie and DMG started using standardized design, production, purchasing, sales, and advertising— marketing their automobile models jointly—although keeping their respective brands. Then in 1926, Benz & Cie. and DMG finally merged as the Daimler-Benz company, naming all of its automobiles, Mercedes Benz, after ten-year-old Mercédès Jellinek. A new logo was created, consisting of a three pointed star (representing Daimler’s motto: “engines for land, air, and water”) with the laurels from the Benz logo. Sadly On April 4, 1929, Karl Benz passed away at his home in Ladenburg at the age of eighty-four from a bronchial inflammation.The Benz home is historic and is now used as a scientific meeting facility for the Gottlieb Daimler and Karl Benz Foundation, which honors both Bertha and Karl Benz for their roles in the history of automobiles. The maiden flight of the de Havilland Mosquito took place 25 November 1940.The de Havilland DH.98 Mosquito was a British multi-role combat aircraft with a two-man crew that served during the Second World War and the postwar era. 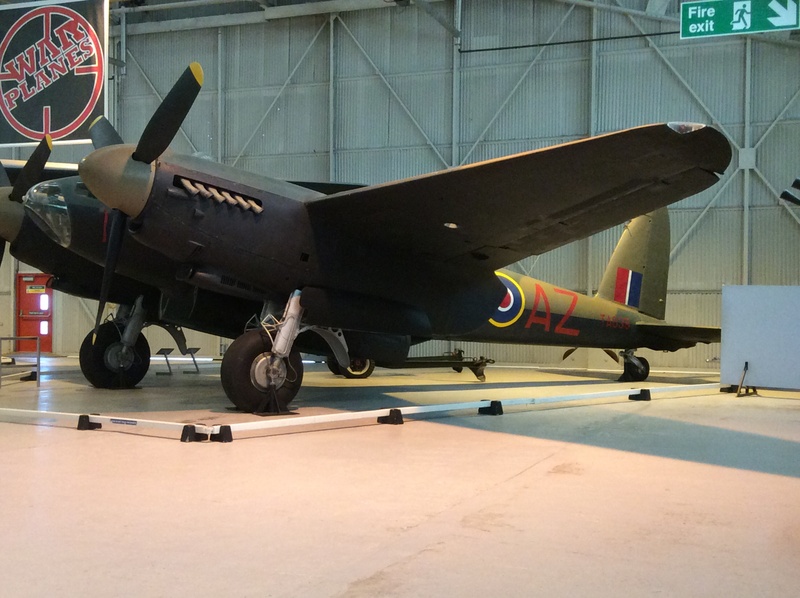 The Mosquito was one of the few operational front-line aircraft of the World War II era to be constructed almost entirely of wood and, as such, was nicknamed “The Wooden Wonder” and was known affectionately as the “Mossie” to its crews. Originally conceived as an unarmed fast bomber, the Mosquito was adapted to many other roles during the air war, including low- to medium-altitude daytime tactical bomber, high-altitude night bomber, pathfinder, day or night fighter,fighter-bomber, intruder, maritime strike aircraft, and fast photo-reconnaissance aircraft. It was also used by the British Overseas Airways Corporation (BOAC) as a transport.When the Mosquito entered production in 1941, it was one of the fastest operational aircraft in the world. Entering widespread service in 1942, the Mosquito first operated as a high-speed, high-altitude photo-reconnaissance aircraft, and continued to operate in this role throughout the war. From mid-1942 to mid-1943 Mosquito bombers were used in high-speed, medium- or low-altitude missions, attacking factories, railways and other pinpoint targets within Germany and German-occupied Europe. From late 1943, Mosquito bomber units were formed into the Light Night Strike Force and used as pathfinders for RAF Bomber Command’s heavy-bomber raids. They were also used as “nuisance” bombers, often dropping 4,000 lb (1,812 kg) “cookies”, in high-altitude, high-speed raids that German night fighters were almost powerless to intercept.As a night fighter, from mid-1942, the Mosquito was used to interceptLuftwaffe raids on the United Kingdom, most notably defeating the German aerial offensive, Operation Steinbock, in 1944. Offensively, starting in July 1942, some Mosquito night-fighter units conducted intruder raids overLuftwaffe airfields and, as part of 100 Group, the Mosquito was used as a night fighter and intruder in support of RAF Bomber Command’s heavy bombers, and played an important role in reducing bomber losses during 1944 and 1945. As a fighter-bomber in the Second Tactical Air Force, the Mosquito took part in “special raids”, such as the attack on Amiens Prison in early 1944, and in other precision attacks against Gestapo or German intelligence and security forces. Second Tactical Air Force Mosquitos also played an important role operating in tactical support of the British Army during the 1944 Normandy Campaign. From 1943 Mosquitos were used by RAF Coastal Command strike squadrons, attacking Kriegsmarine U-boats(particularly in the 1943 Bay of Biscay offensive, where significant numbers of U-boats were sunk or damaged) and intercepting transport ship concentrations.The Mosquito saw service with the Royal Air Force (RAF) and many other air forces in the European theatre, and the Mediterraneanand Italian theatres. The Mosquito was also used by the RAF in the South East Asian theatre, and by the Royal Australian Air Force (RAAF) based in the Halmaheras and Borneo during the Pacific War. The Martin B-26 Marauder Also made it’s maiden flight 25 November 1940. This twin-engined medium bomber was built by the Glenn L. Martin Company and was First used in the Pacific Theater in early 1942, it was also used in the Mediterranean Theater and inWestern Europe. After entering service with the U.S. Army, the aircraft received the reputation of a “Widowmaker” due to the early models’ high rate of accidents during takeoff and landings. The Marauder had to be flown at exact airspeeds, particularly on final runway approach and when one engine was out. The 150 mph (241 km/h) speed on short final runway approach was intimidating to pilots who were used to much slower speeds, and whenever they slowed down below what the manual stated, the aircraft would stall and crash. November 25 has been designated International Day for the Elimination of Violence Against Women by the United Nations General Assembly. The date marks the anniversary of the assassination of the Mirabal Sisters (Patria, Minerva,Maria &Dede), who were Dominican political dissidents and activists, who opposed the dictatorship of Dominican dictator Rafael Trujillo (1930–1961). Rafael Trujillo, was the country’s president from 1930 to 1938 and from 1942 to 1952, but ruled as a dictator from 1930 to his assassination in 1961.